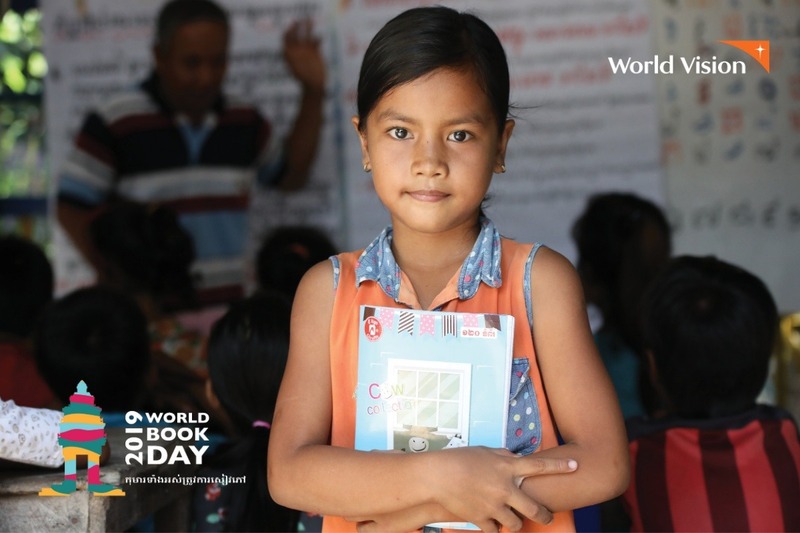 World Vision Cambodia works with over 100 rural primary schools that currently have no libraries. 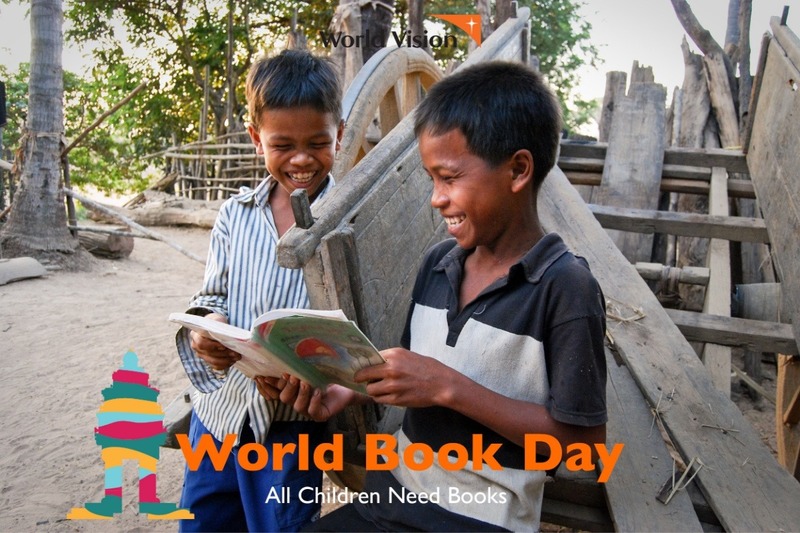 This year, for World Book Day World Vision Cambodia is raising funds to provide children with the books they need to thrive. 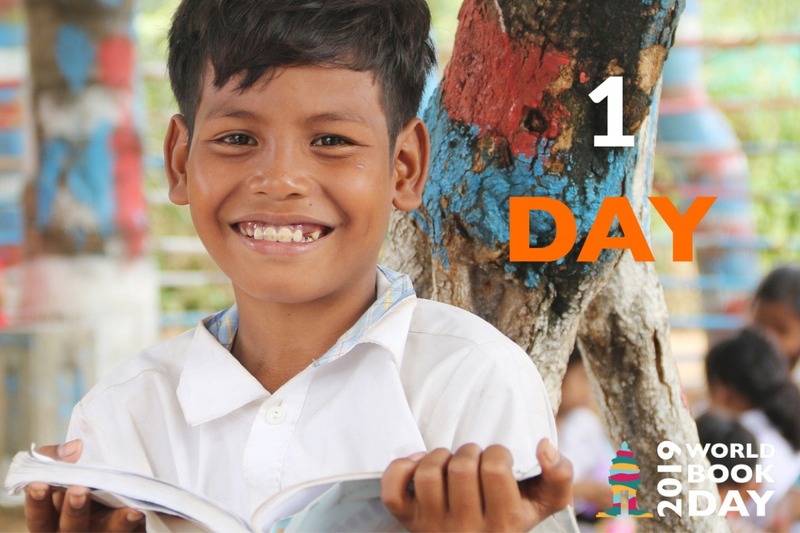 Together, with your help, we want to fill school libraries across Cambodia with the reading materials they need to provide children with a quality education. When filled with books, libraries encourage school attendance and enable thousands of Cambodian children to experience the joy of reading. Ask friends, family and colleagues to help and donate today. Because every child deserves an education, a future, a book. 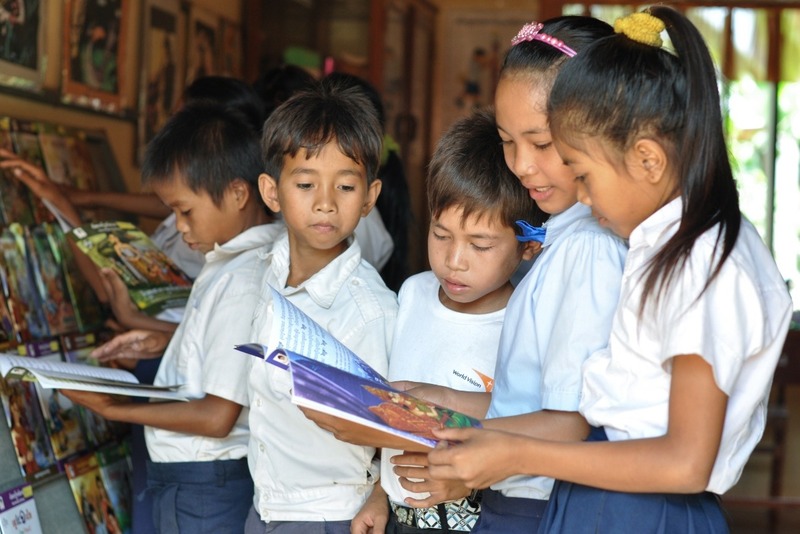 At the end of the campaign, we will purchase much-needed books to fill libraries in primary schools throughout Cambodia. Like the one in Leuk Daek ADP. School student Vichyra (pictured) says, "I have learned from reading a book about how to plant morning glory, cabbage, tomato, and white radish." 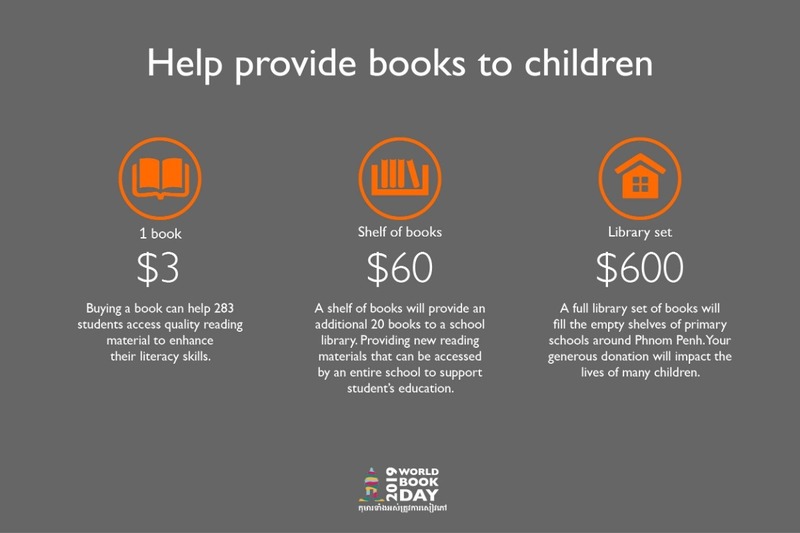 The World Book Day 2019 is a fundraiser by World Vision Cambodia. All donations via GoFundMe are in AUD, all other donation amounts advertised as part of the campaign are in USD. 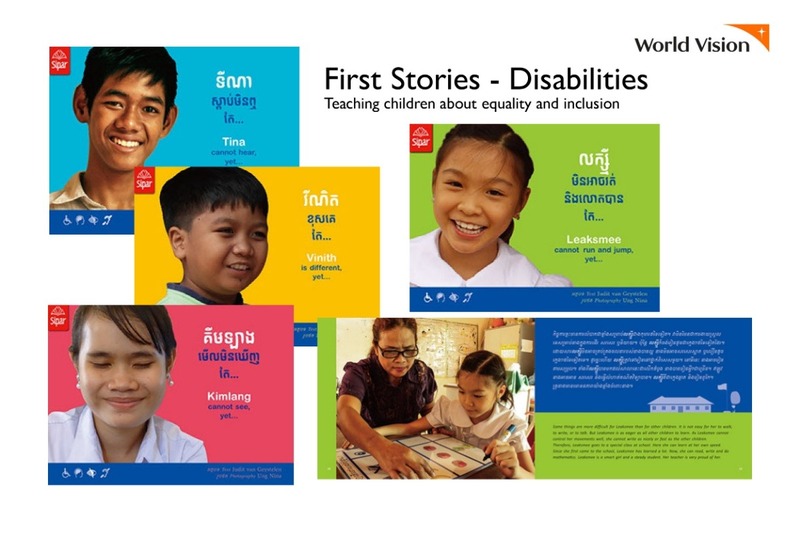 "First Stories" book set educate children about the disabilities and acceptance for those who are differently abled. Through inclusive education, we can assist every child to have access to quality education. However, we're short a "First Stories" book set in our school libraries! Can you help us? Donate $40 today to help us fill our school libraries with inclusion promoting books! Today we're celebrating World Book Day! So far we've fundraised 1,025 books. These efforts will support over 1,500 children throughout Cambodia to achieve basic literacy skills - the foundation of learning and education. However, reading is also a human right and a powerful tool for individual and community empowerment. Help us reach out target and support another 13,500 children by buying a book today. Tomorrow is World Book Day! It is a chance for us to come together for Cambodia's children and supply books that will help them reach their full potential. Every child is important and deserves the opportunity to develop the literacy skills for a strong education. Get your friends and family (and workplace) to donate a book today! Savchon Chan, a mother of 3 used to spend all of her time in the rice fields earning a living for their family. "I didn’t have time taking care of my kids. So sometimes I have no choice but let my son skip from school a few days to look after his younger sisters,” says Savchon. “Due to tiredness and busyness, we never be able to help our children learn at home. I need a rest. And we also could not do anything else beside that farming." World Vision first started working with Savchon's community in 2002 and since then the Chan family have adopted modern farming practices which have given them more time and higher yields. As well as having learnt about nutrition, hygiene and sanitation to ensure they're eating the right foods and reducing their risk of getting sick from diarrhea, typhoid, dengue fever and flu which the children previously contracted frequently. We a committed to helping more family's like Savchon's and with your donation we will be able to provide more books to children in need, so children like Savchon's can learn at home. 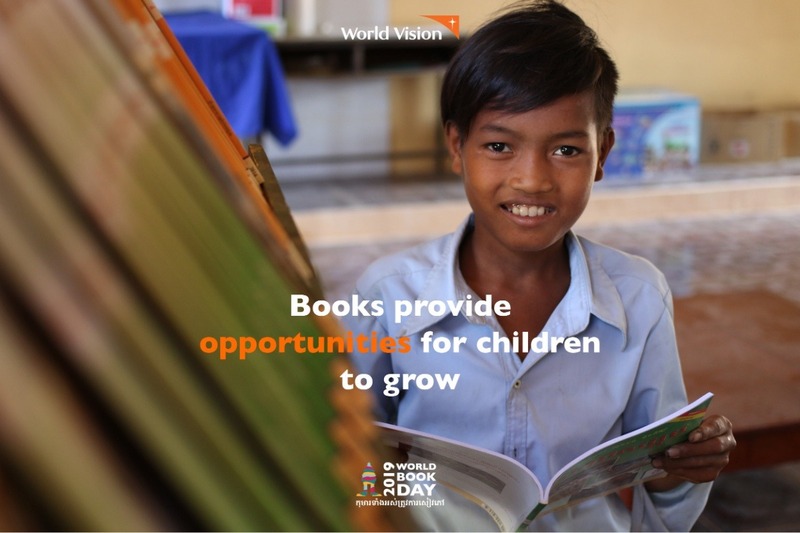 These books are so valuable to a child's growth and development and with World Vision's support, families can invest in their children's education. [Savchon's oldest child reading with her Grandma].